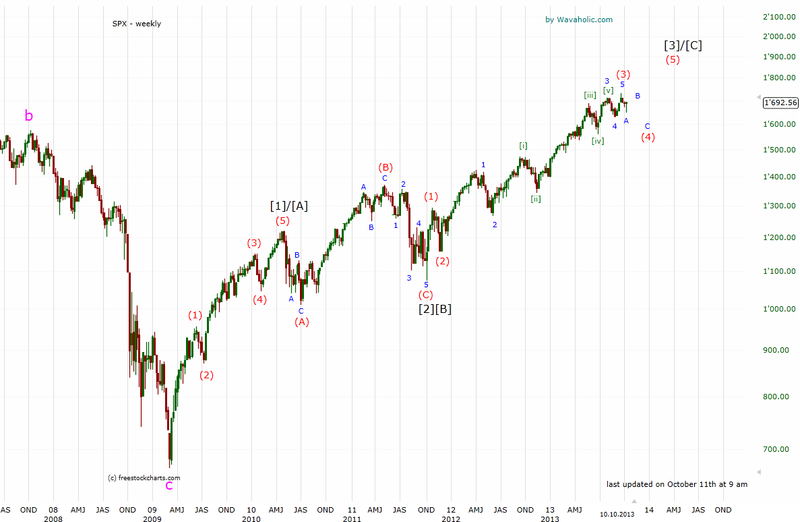 The main problem with the short-term count I showed for the Dow Jones yesterday is that it doesn't work for the SPX. 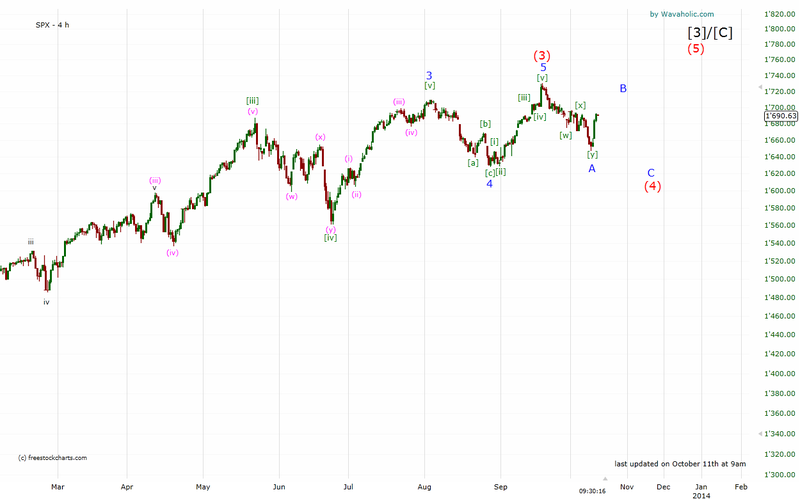 The sell-off from 1730 to 1650 subdivides into three waves (and not five). I actually quite like it this way. I'll show you the other likely scenario a bit later today (for the Dow Jones) so that you have a nice overview of the two possibilities.